The red fox in The Fox Chase appears to have an advanced lead on the pack of dogs and artists racing in mad pursuit. Surely he will escape capture once he enters the thick of the marsh grasses. 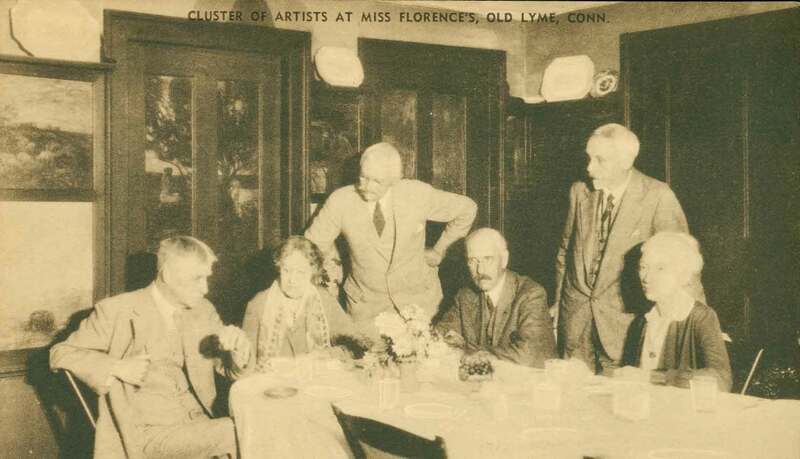 Ironically, despite its presence on her fireplace wall, The Fox Chase has no image of Miss Florence to mark her leading role in the Lyme Art Colony. It is tempting to imagine that the fox is somewhat symbolic of her role as the colony’s silent leader, giving direction to the merry band of artists who found themselves in her company each summer. Like foxes, which are romanticized as sly and clever creatures, so too did Miss Florence put her charms and graciousness to use in sustaining the vitality of the colony. 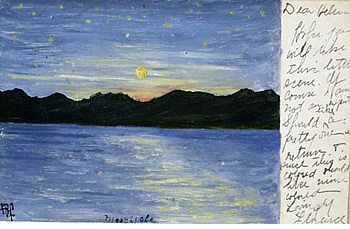 She was known to write long letters to the artists encouraging their return to Old Lyme. In 1910, to Mr. Schumacker Duncan she writes: “It was very pleasant to hear from you again & a little disappointing in a way. For I was hoping by this time perhaps, you might be able to spend a winter with us.” This cunning was also useful when offering tours to visitors to house. 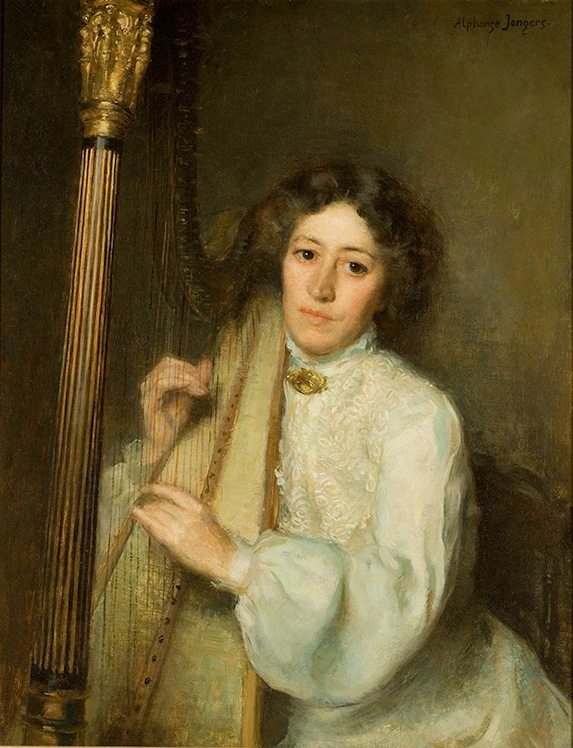 She told Duncan, “I had quite a collection of pictures in my hall, which I sold & sell at any time on commission.” She took great pride and a leadership role in the annual exhibitions at the library and later at the Lyme Art Association, where she was the first manager. Years later, at the Lyme Art Association, Miss Florence would continue to use her selling skill. 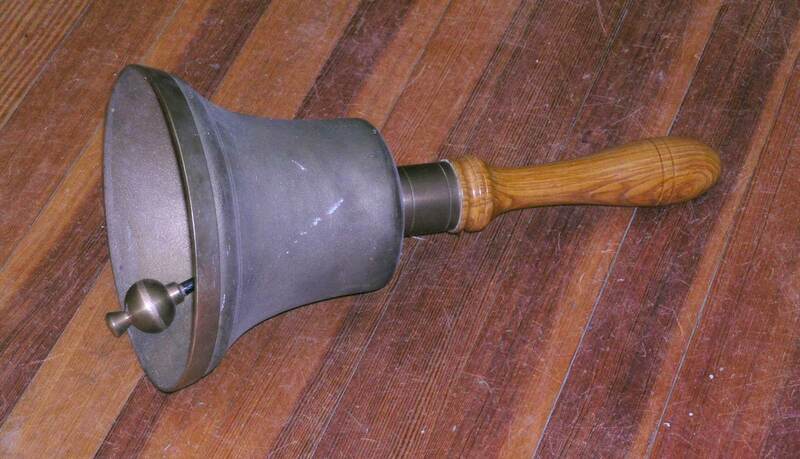 Once a sale was finalized, she would ring a large hand bell to call one of the artists from next door to help her crate up the newly purchased painting. 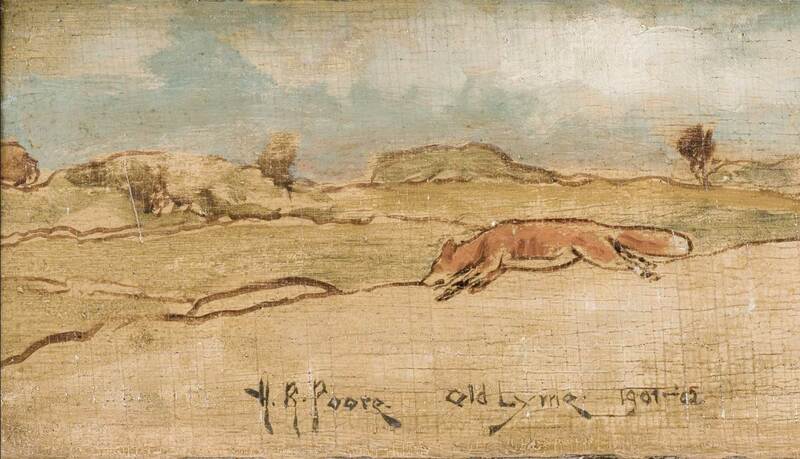 Although there were fox populations in the wilds about Old Lyme, the animal did not get much attention from the other artists in the colony. The only other foxes on view are in the original English prints that hang above the fireplace.